Tef (Eragrostis tef (Zuccagni) Trotter) is a dual purpose cereal, valued for both grain and forage production in dry areas with a short rainy season. Tef grain is rich in protein, carbohydrates and fibre, and is mainly used for human food, particularly in Ethiopia where it is used for the production of bread (injera) and beer (tela). Until recently, little was known about the nutritional composition and potential health benefits of tef. This, along with technical limitations in processing tef, long prevented its widespread adoption as a cereal grain beyond Ethiopia (Baye, 2015). However, since the late 1990s, the recognition of tef as a gluten-free cereal of good nutritional value has resulted in new found interest (Baye, 2015). Tef straw, the crop residue of the grain harvest, is a major livestock fodder in Ethiopia. In other countries, including Australia, South Africa, and the USA, tef is principally used as a forage crop for ruminants and horses (Baye, 2015). For more information about those products, see the Tef straw and Tef hay datasheets. Due to the importance of tef grain in the food security of Ethiopia, its export has been banned since 2006, and its use as livestock feed is unlikely in the short or medium term in this country. However, as the worldwide demand for this high-quality, gluten-free cereal increases there may be opportunities in the future to use tef grains as feed. Tef is an annual, leafy, tufted grass that reaches a height of 150-200 cm at maturity. The culms are fine, erect, simple or sparsely branched, prone to lodging. The root system is shallow and fibrous. Tef is a leafy species. Its leaves are glabrous, linear, 25-45 cm long x 0.1-0.5 cm wide. The seed head is a long panicle of 10-65 cm bearing 10-40 slender racemes, which may be either very loose or very compact. Panicles bear 30-1100 spikelets. Fruits are ellipsoid, minute (1-1.5 mm x 0.5-1 mm), yellowish-white to deep brown caryopsis (grain) (Tefera et al., 2006; Seyfu Ketema, 1997). Tef is possibly the smallest cereal grain, with an average length of about 1 mm. The average thousand kernel weight of 12 tef varieties is 0.264 g (Geremew Bultosa, 2007). The word "tef" is connected by folk etymology to the Ethiopian Semitic root "ṭff", which means "lost", because of the small size of the grain. Tef grain is a staple food in Ethiopia. It has a high nutritive value and is used to prepare several dishes, the main one being injera, a popular fermented and flattened sour bread (Tefera et al., 2006). Tef grain is one of the cereal grains used in the production of Ethiopian beer (tela). Due to the minuteness of tef grains, they are difficult to decorticate, and the cereal is consumed as a wholegrain (Baye, 2015). There are many varieties of tef. The Hagaiz type has white seeds, matures slowly (150 days), makes higher demands on the soil and cannot be grown above an altitude of 2500 m. The Tseddia type has brown seeds, matures early (90 days), can be grown above 2500 m and is superior for fodder production (NRC, 1996). Three major categories exist on the market: white (nech), red (quey) and mixed (sergegna). Wholesalers subdivide white tef into very white (magna) and white (nech), though these categorizations remain subjective (Baye, 2015). Consumers prefer white tef over darker coloured types, but red tef, which is believed to be more nutritious, is also gaining popularity among health conscious consumers in Ethiopia (Tefera et al., 2006; Baye, 2015). In Ethiopia, a country of nearly 90 million people, approximately 6 million households grow tef. The production and consumption of tef grain are matters of national policy, since food insecurity remains a serious problem. Tef is now considered a luxury cereal and its consumption is mostly done by urban dwellers, as most rural people are unable to afford tef and rely mostly on less expensive grains to make their injera. The Ethiopian government banned the export of tef grain (but not of injera) in 2006 (Crymes, 2015). Demands for tef grain by African diasporas, health conscious and gluten intolerant individuals in industrialised countries have led to an increased production of tef internationally (Miller, 2010; Crymes, 2015; Baye, 2015). Though there is hardly any literature on the use of tef grain as a feed for livestock, its valuable nutrient composition could make it useful in animal production. Tef is thought to have originated in Ethiopia, where it has been used as a food grain since sometime between 4000 and 1000 BCE. It is mainly cultivated in its native range (Ethiopia and the highlands of Eritrea) and in neighbouring Northern Kenya. It has been introduced into South Africa, the USA, Canada, Australia, the Netherlands and Yemen for small-scale production of gluten-free grain (Tefera et al., 2006). In the tropics, tef is particularly suited for altitudes ranging from 1300-2800 m, but can grow from sea level up to an altitude of 3400 m. Only brown/red tef is grown above 2500 m. Tef is particularly valued for areas too cold for sorghum or maize, and it can be found where temperatures as low as -15°C occur, provided the frost does not last too long (NRC, 1996). In Ethiopia, tef grows where annual rainfall ranges between 950-1500 mm, with about 450-550 mm during the growing season (Tefera et al., 2006). Tef cannot withstand more than 2500 mm rainfall. However, tef can adapt to growing conditions ranging from drought to waterlogging. It is able to withstand wet conditions perhaps better than any cereal other than rice. Tef is mainly grown on sandy loams, but it can grow on black, heavy clay soils (black cotton soils), provided they are well drained and have sufficient N. Neutral or slightly acidic soils are preferred (Tefera et al., 2006). Tef can withstand as much or more salinity than alfalfa (Miller, 2010). A C4 plant, tef makes efficient use of water and heat. It can grow in places prone to drought after short rains (Tefera et al., 2006). Tef grain production accounts for 25% of total cereal production in Ethiopia and was reported to be about 4.3 million t in 2015, up from only 1.4 million tons in 2001 (Lyddon, 2015; Alemayehu Refera, 2001). Tef is a basic food crop in Ethiopia due to its specific agronomic capabilities. It is possible to harvest tef after a first cereal harvest in the same year (NRC, 1996). Tef may be used as an emergency crop for famine relief in difficult seasons. Farmers can still sow tef when their other crops are failing, and harvest grain two months later, thus providing food during a famine (NRC, 1996). Tef is propagated through seeds and should be used in sole cropping systems as it does not withstand intercropping (Ecocrop, 2016). Tef is commonly grown in rotation with cereals, pulses and niger (Tefera et al., 2006). It requires a weeded, well-prepared, firm seed-bed. It can be planted, broadcast or sown at 15-20 kg/ha in rows, no deeper than 1 cm, and subsequently rolled (Ecocrop, 2016; Tefera et al., 2006). It must be regularly weeded. N fertilizer should be provided in small amounts, or tef should be sown after an N-legume, in order to reduce the risk of lodging. Tef requires little care after establishment. Its rapid growth outcompetes weeds. It suffers few diseases and pest attacks. In Yemen, it is considered a "lazy man's crop" as it does not require any care between sowing, after flash floods, and harvesting (NRC, 1996). Tef is one of the fastest maturing cereal crops. Grain maturity occurs 2 months after sowing for very early-maturing types, 3-9 months after for early-maturing types and 6 months after for late-maturing types. 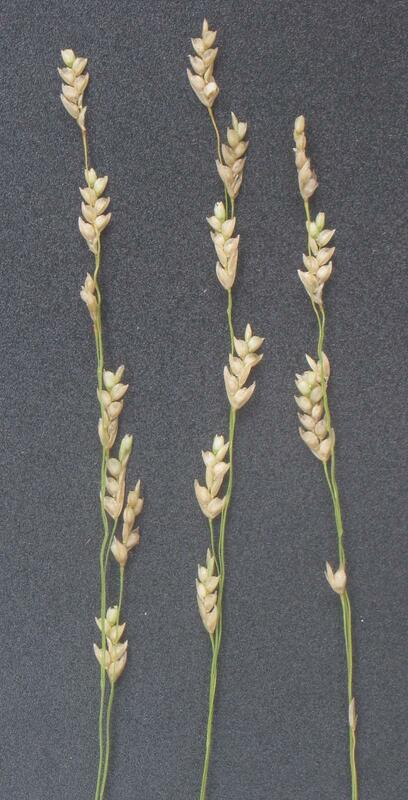 Tef maturity is indicated by the yellowing of the stalks bearing the spikelets (NRC, 1996). Harvesting after physiological maturity may result in seed shattering, especially in windy and wet conditions. In Ethiopia, harvesting is done between November and early January. Tef is hand-harvested. The plants are cut at ground level with sickles and then transported to the threshing ground (Tefera et al., 2006). Threshing is done by animal trampling or by using threshers. All grain cannot be completely removed from the straw (Seyfu Ketema, 1997; Alemayehu Refera, 2001). Tef straw is soft and fast drying (NRC, 1996). Tef has a low estimated post-harvest loss, about 3%, compared to other cereals such as maize (25%) and wheat (26%) (Kassier, 2002). Tef grain yield ranges from 0.2 to 2 t/ha (Lyddon, 2015; Alemayehu Refera, 2001). One advantage of tef grain is that it can be stored for an extended period of time, at least five years, under traditional storage conditions. The seed remains viable under such conditions for up to three years. It is not attacked by weevils or fungi, which reduces postharvest costs, as no protective chemicals are required for storage (Kassier, 2002). Tef can serve as a temporary ground cover. Its very fast germination and fibrous root system development makes it an excellent choice for erosion control (Miller, 2010). The nutritional value of tef grain is comparable to that of other major cereals. Tef is relatively rich in protein, though the literature reports a wide range of values: Baye, 2015 reports a range of 9-12.5% (DM), while the CGIAR/ILRI Sub-Saharan feed database reports an average of 13.2% (DM), with a range of 8.4-19.4% (CGIAR, 2009). Tef has a good amino acid composition, with lysine levels (3.7% of protein) and sulphur-containing amino acids levels (methionine 4.1% of protein) higher than those of wheat or barley (Lester et al., 1981). Tef contains about 73% starch, similar to maize grain and higher than for wheat and barley. The crude fibre content (3-4%) seems to be slightly higher to that of wheat and maize, and lower than that of barley. Crude fat (2.5-3.4%) is similar to that of other cereals (Baye, 2015). Tef contains large amounts of phytate (0.6-1.4%) comparable to those of other cereal grains, with a wide range of variability, probably due to varietal differences and growing conditions. Tef has higher iron, calcium and copper contents than other common cereals (Mengesha, 1966). However, the difference in mineral content between tef varieties is wide ranging. Red tef has higher iron and calcium contents than mixed or white tef, while the latter has a higher copper content than red and mixed tef (Abebe et al., 2007). The very high mineral content of tef has been attributed to soil contamination, and also particularly to the traditional threshing method by cattle trampling (Baye, 2015). No scientific studies are available (as of 2016) on the utilisation of tef grain for ruminants. Because it is widely and safely used in human nutrition, grains discarded for food should be usable in the manner of other cereals, notably maize (large starch content) or wheat (good protein content). Its relatively high content in sulphur-containing amino acids may be valuable for ruminants. No scientific studies are available (as of 2016) on the utilisation of tef grain for pigs. Because it is widely and safely used in human nutrition, grains discarded for food should be usable in the manner of other cereals, notably maize (large starch content) or wheat (good protein content). Its relatively high content in sulphur-containing amino acids and low fibre content may be valuable for pigs. Although no scientific studies are available on the nutritive value of tef in poultry (as of 2016), the chemical composition and the lack of any major antinutritional factor suggest that its value is close to that of other cereals. Tef has higher protein content and slightly lower energy content than maize or sorghum, and its feeding value would be closer to that of wheat or oats. Tef grain seems to be relished by birds as growing recommendations for the tef crop include protection from bird damage (Yifru Teklu et al., 2005). Tef grain was reported to be fed to captive buff-spotted flufftails (Sarothrura elegans) in Southern Africa (Taylor, 2010). When available it is eaten by scavenging chicken (Hayat et al., 2016). No scientific studies are available (as of 2016) on the utilisation of tef grain for rabbits. Because it is widely and safely used in human nutrition, grains discarded for food should be usable in the manner of other cereals, notably maize (large starch content) or wheat (good protein content). Its relatively high content in sulphur-containing amino acids may be valuable for rabbits, but attention should be paid to its low lysine content, as for other cereal grains. Taylor, B., 2010. A guide to Rails, Crakes, Gallinules and Coots of the World. Bloomsbury Publishing, August 2010, 600 p.